April 22, 2016 a highly anticipated project was released by Nathan Feuerstein, better known to the world as NF. 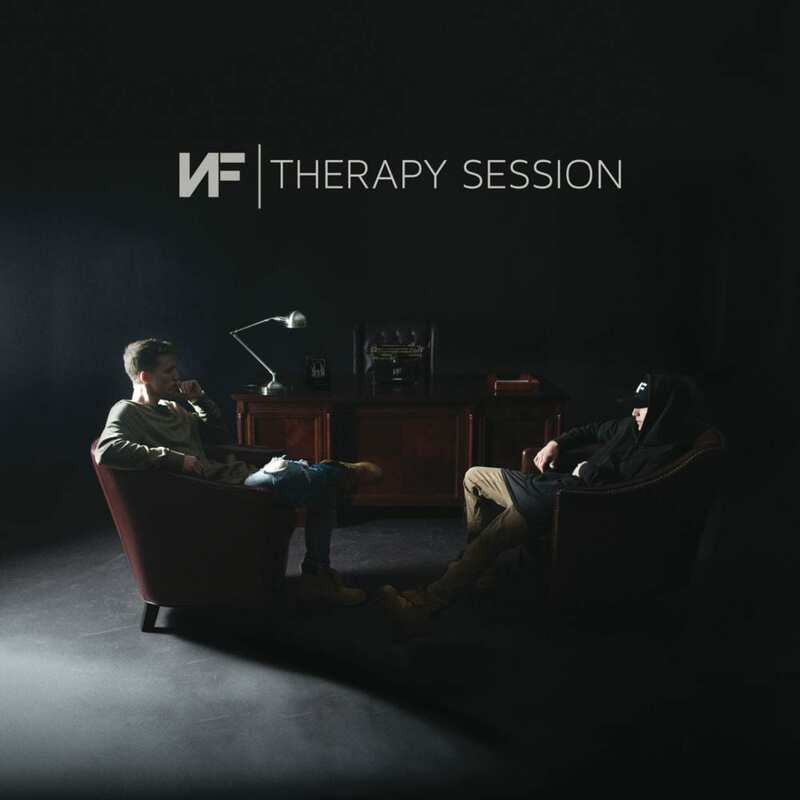 Therapy Session is the sophomore album follow up to the greatly received Mansion album released just last year. NF is known for his passion, real, raw, and unrelenting music. Songs from his first album received placements (i.e. Intro was used in the trailer for the season finale of Empire and in Madden NFL 16) and his music videos have done well on VH1, but how will this sophomore project stack up? Nathan was the first rapper Capitol CMG ever signed back in 2014. After the signing, NF quickly dropped his self titled EP NF and it did well. In 2015, Mansion dropped and now we have arrived at the Therapy Session. All that to say, NF has a crazy work ethic. It’s amazing how he is able to churn out so much emotional content in such a short amount of time. Mansion was a trip through Feuerstein’s mind and it seems as if Therapy Session is a deeper look at those rooms of the house. In the CHH community, NF has come under fire for not talking about Jesus enough and sounding too angry ( I don’t why Christians are afraid of being angry, guess that’s why some said they thought Datin had a demon in him). Is this album more of the same? I would have to say yes, but that’s not necessarily a bad thing. One thing that critics of “Christian” art have is that the artists tie everything at the end with “but Jesus saves and all is right with the world.” This says that art goes for the cliché happy ending. Nathan doesn’t seem to fall under that category but instead he falls on the opposite side of the spectrum. He talks openly about his current struggles, but he doesn’t seem to offer some sort of answer or resolution? Can this kind of approach really be useful to the listener? Let’s look at some of the stand out tracks on the album and see. One aspect we hear a lot about on this project is failed relationship, both romantic and friendships. “I Just Wanna Know,” “Got You on My Mind,” and “Wish You Wouldn’t” all tackle this subject in different ways. One of the most emotional records on this project would have to be “How Could You Leave Us,” hands down. On this song NF talks candidly about his mother’s substance abuse that led to her demise, which is something Nate deals with to this day. He mentions on the track that cigarette smoke reminds him of his mother. You hear tears and the piano plays a backdrop, as Nate cries out, “How could you leave us.” “Won’t say I forgive you cuz it hasn’t happened” is one of the lines that sticks out. She died in 2009 before NF graduated high school. This wound is obviously something that he still struggles with. You can hear him talking through his tears at the end of the track about his mother “them pills got you right?! !” This is the most haunting song on the album. It is sure to pull on your heartstrings and hopefully start some serious conversations. The album has a good run going from “Breathe” to “Real” to “Oh Lord.” These songs speak on dealing with fame, failed relationships, flexing on rappers in the industry, and asking if the Lord can see those suffering in the world respectively. My favorite song on the album is the stadium chant “Grinding.” Now normally I find songs about grinding very tired and cliché, unless they come from someone who has a track record for grinding or they talk about it in a way that makes me want to get on my grind. Feuerstein accomplishes both for me on this track and also features Marty from Social Club Misfits. Nate comes under fire for bragging too much, but I love it! Call it extreme confidence in the gifts God has given. He goes on to flex some more on “Statement,” but what really stands out on this track is his flow. His flow is very choppy and different from how he has been rapping on the whole project. Lyrically, this has to be one of the strongest songs on Therapy Session, making a statement on how he will destroy any rapper. The last track “Lost in the Moment” has to be the cliché CCM Christ explicit album ending song, right? Answer: Absolutely not. NF ends the album without giving us a conclusion and he acknowledges it. “Eventually you’ll have to deal with the things you talk about…yeah, but until then, I guess you’re just lost!” NF acknowledges that eventually he will have to give some kind of answer or resolution but for now, he is just lost in the moment of venting. That’s a very human and real thing to say. In conclusion, this isn’t a CHH album but an album by a Christian expressing his whole life to his fans and critics. Some complaints some of us may have with the album, are the lack of theological content, as well as how fleshly his flex records are. I would love to hear NF mention Jesus or reference a relationship with Christ as the healing salve to all of the pain this life will throw to you, but it seems as if NF doesn’t believe in watering down how he feels or pulling any punches. Those of us hoping he will change his style up will probably be disappointed, as he is seeing fans being helped by the way he is doing things. Thi’sl said that in terms of rappers who are underrated, NF is one of those guys who are slept on in Christian Hip Hop. Hopefully this album will wake sleepers up and people will feel helped by hearing someone brave enough to expose his struggles and pain to the world. It’s therapeutic to hear someone talk about their struggles in ways you can relate, and it’s needed. As Christians, we have the spiritual healing side down pat but when it comes to therapy, we are very cautious. Nathan doesn’t have this problem. After you pray, you should pull up, put NF in your ears and get started on that Therapy Session.